Blogger Inspired Fashion Week has officially begun. Here to kick things off is the adorable Roni from Style & Poise. If you Dolls don’t know her, I’m sure you’re going to want to get to know her after this feature. I’m not exactly sure when me and Roni crossed paths in the Blog World, but I’m so glad we did. I have been a long time follower of her blog and of course I LOVE her adorable fashion sense. Roni is a whiz at selecting fashionable items from high end to low end choices. 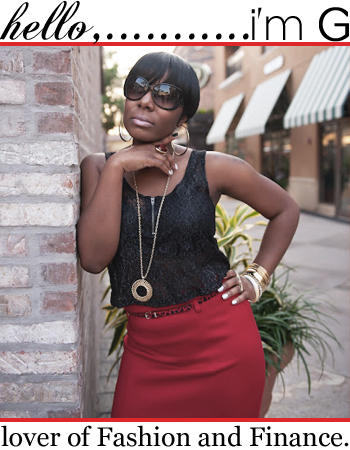 You can catch her in anything from Louboutins to one of a kind Vintage Thrifted Finds. One of my favorite things to see on Roni’s Blog is her shopping haul videos. I love her personality and wanna go shopping with her so bad, LOL!!! I’d like to also highlight that this fashionista has been featured in “In Style Magazine”. Isn’t that fabulous! Keep up the good work Roni!! I just love seeing bloggers get recognition in national publications. Tell Me and My Readers a little bit about yourself and your background. I was raised in New Jersey and currently reside in Philly, PA. I have a BA in Sociology and I’m almost finished with a MA in Education with School Counseling certification. I enjoy your typical girly activities: shopping, getting dolled up for no apparent reason, ladies nights full of girl talk, etc. I also love to travel, even though I haven’t had an opportunity to do much of it this year. I enjoy listening to music. I listen to various genres, which include; R&B, gospel, pop, and some rap to name just a few. Some people shop, eat, or exercise to release stress, music happens to be my stress reliever. I am a pretty easygoing person and a little reserved upon meeting new people but once I open up, I am a ball of fun! How would you describe your signature style? I'd say my style is a combination of classy, chic, edgy, romantic, feminine, and sometimes trendy, with a little bit of vintage meets modern. I definitely believe "less is more". My fashion sense embodies a plethora of styles. I wear whatever attracts me at the moment-whether it is a gorgeous bohemian floral dress, spiked heels, a tutu, or a romantic lace dress. I utilize fashion as an expression of my current mood. I always try to keep it simple but try to incorporate at least one statement piece to give every look some ump! How do you go about creating an outfit or look? I draw inspiration from everywhere-magazines, stores, celebrities, fellow bloggers, or more often than not an idea will just pop up in my head and I hurry to write it down, so I do not forget. What is your FAVORITE Feature to accentuate? I would have to say my legs! I love dresses and skirts and any opportunity I have to wear either, I will. Skirts/dresses are the epitome of femininity and are so effortless. Do you have any Fashion Challenges? I think over accessorizing in some cases can over shadow your outfit or come off as tacky/gaudy. However, I've seen some fashionistas pull it off and look AMAZING doing so. I cannot seem to find that perfect balance, so I prefer to keep it minimal with the accessories for the most part until I am able to learn that balance. What are your FAVORITE places to shop? Thrift/Vintage Stores, H&M, Zara, Target, ASOS, and Mod Cloth, to name a few. Who are your FAVORITE Designers and/or Clothing Brands? Chanel, DVF, H&M, Zara, J.Crew, etc. However, I want to be clear these are my fav’s but I am not working with a Chanel budget so I don’t necessarily own tons of Chanel clothing, but I admire the above mentioned designers! Is there a Spring/Summer trend that you’re dying to incorporate into your wardrobe? It appears that Black and White is an upcoming trend and I am a huge fan of Black and White! So, I am really looking forward to rocking this trend. It also appears that floral and neon’s are still here to stay, so I am definitely excited about that, as well. Why Blogging? What turned you on to the Blogosphere? Blogging for me started one day out of the blue with no expectations at all for my blog to ever materialize to anything. My family and friends would always call me for style advice. So, I had the bright idea one day to start documenting my style via blogging to inspire and help those close to me. Eventually, I started to meet other bloggers like myself and really started to enjoy it and now I can’t see my life without it! What thing(s) sets your blog apart from other blogs? I think individuality is essential in the world of blogging and I try my best to stay true to who I am and my style. Where do you see your Blog a year from now? Man, this is a tough one! I am in the process of trying to re-vamp my blog a little bit, step my social networking up some and putting myself out there a little more. In the ideal world, I would love to double my followers and reach a lot more people who are inspired by my style. So, I’d have to say I’d just love to expand my blog, network, and seize whatever opportunities may come my way, if they’re right for me! Name 3 Bloggers whose style you just live for. Hmm…this is another tough one! I have soooo many favorites! I love Karla’s Closet, Fashion Bananas, and Curves and Confidence! All of the above bloggers have such distinct looks and style! I draw so much inspiration from all three. Can I do honorable mentions, LOL? I also love my girl, Jeimy from Jeimy’s Fashion Love Affair and Lexy from Beauty Fash (Sequins to Cilantro). As you know, my blog is geared towards FASHION and FINANCE, so tell me in what ways you combine the two. If you are a follower of my blog you are aware that I am all about mixing highs and lows and making style affordable. I love fashion/stylish garments but I’m not willing to go to the poor house in result of them. So, with this in mind what I wear and the places I shop, for the most part, are practical and affordable for the everyday woman. For those that can afford to wear all higher end clothing, I am not knocking you at allJ, but that’s just not my reality. So, incorporating brands such as, H&M, Zara, and F21 into my wardrobe helps me to pull off trends without breaking the bank. Find your niche and what you are great at and GO FOR IT! Be you, not a carbon copy of other bloggers. Individuality is so important! I try my best to always represent Roni A.K.A. Style & Poise, even if my style doesn’t appeal to everyone at all times. Of course, with the wonderful world of blogging others will inspire you and that’s GREAT, that is one of the sole purposes of blogging. However, it’s important to put your own spin on your inspirations. Wise words Roni! I love doing this because as much as you think you can gather from what we share on blog posts, there is always more behind the pretty pictures and fabulous clothes. I learned so much about who Roni is, what she likes and some of her goals. I’m looking forward to seeing the pictures from her upcoming wedding that will take place later this year. Good Luck Roni and I wish you all the BEST with EVERYTHING. 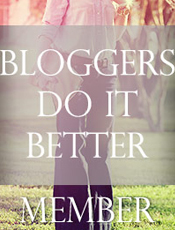 Glad to be one of your blog buddies!!! Ok, so selecting one of Roni’s looks was something that I just knew would be easy, chile please. I narrowed it down and changed my mind so many times before settling on a look. I finally decided to go with this look featured on Style & Poise on 9/4/2011 in a post titled: Date Night: Eyelet Shorts. 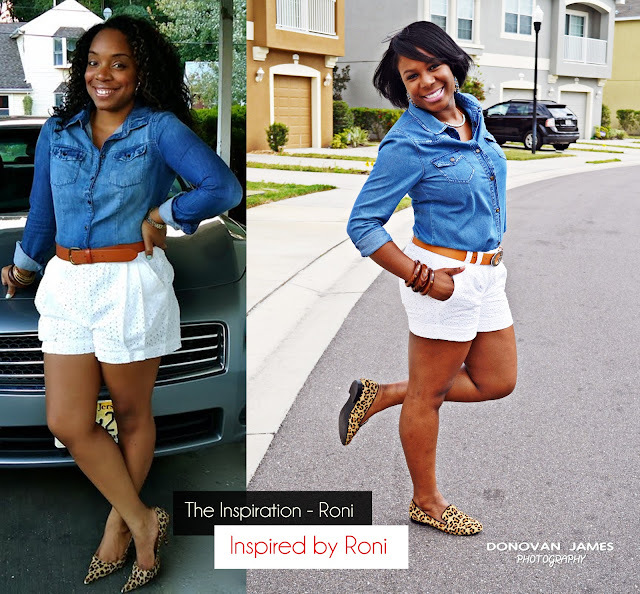 I hope you like my re-create of this fab look Roni!! Dolls, weigh in and show the fabulous Roni A.K.A. Miss Style & Poise some love! Thanks Doll!!! I love her style too!!! Roni is fierce! Hey Roni!!! So glad you like it Doll!!! I love it with the heels too! I'm so glad you like the re-create! It was such fun! You were a great feature!!! I love Roni's style and blog! Great interview and feature. You definitely nailed it again! What a lovely feature!! I'd never heard of Roni and her blog, but her style is very cute. You did a great job redoing her outfit too! Great pictures. Thanks Doll!! 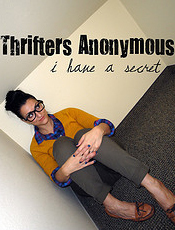 Glad to provide some exposure to Roni and her blog. Be sure to check her out. She has great style. Ok, I'm looooving her style!! She mixes colors, patterns, styles, everything so well!! And I love how you recreated her look, you look amazing as well! Thanks for your lovely comments Doll!!! Roni is great with that. Glad you liked this feature. Be sure to come back for more this week!! Thanks Doll!!!! Stay tuned for more!!! omg love everything honey what an amazing feature you're such an inspiration! Great re-creation mama!! I love Roni's style and yours ofcourse :) Your sweet spirit shines through in your posts :) Once my fast is over I am searching for those shorts!! Cute! She has a cute style! Def gonna check out her blog! I need to check her out! Such a great fashion sense! very cute....checking out her blog right now!! I love the outfit you recreated!! LOVE!!!! totally digging these inspired looks! So cute! You are at it again & I love it!!!! Great recreation & those leo flats are super cute!